Obama’s CIA Chief Clapper immediately got on the Sunday news shows to say he “can deny” investigations of Trump, which is true as there was no “legal” investigation. Glenn Reynolds said the entire Trump-Russia collusion was a creation of the Left as a distraction from Trump’s effective leadership to begin making America great again. FBI Director Comey says Trump wasn’t under investigation and asked Congress to tamp down Trump’s allegations to protect Obama from a potential congressional investigation. This is contrary to the FBI’s purpose which is to conduct such investigations. He never went to Congress to ask for permission to investigate Obama’s AG Lynch secretly meeting with Bill Clinton and then calling off the investigation of Hillary a week later. This charge by President Trump was a masterful stroke! Leftists are all calling him a nutcase and unhinged while they scramble to hide their lies and cover up Obama’s crimes. Regardless of what you think of Donald Trump, he is proving himself to not only be honorable in keeping his campaign promises, but supremely capable of overcoming leftist opposition lies. He is exhibiting the skill of a Machiavelli in putting down Alinsky radicals attempting to overthrow the rightful government. Now the LDMSM are devoting themselves to creating stories to divide Trump from his voters by claiming he has thrown in with Democrats and RINOs to keep ObamaCare. Good luck with that effort. Conservatives want ObamaCare ripped out by the roots, but RINOs are saying that can’t be done and it is best done piecemeal. The public doesn’t really know the answer to that, but Trump should as he is on the inside leading and should be listening to all sides to make an informed decision. Millions have been forced into ObamaCare over the years and no one expected a Trump victory, so no one has plans prepared to take these people back from ObamaCare. President Trump has proven he is honorable and capable so I will put my trust in him until he actually proves false rather than flawed. He may be fooled once, but he’s nobody’s fool and will strike back the moment he discovers he’s been played. RINOs who want to play such games trying to take down the king by stealth will find themselves sitting precariously alongside Democrats. 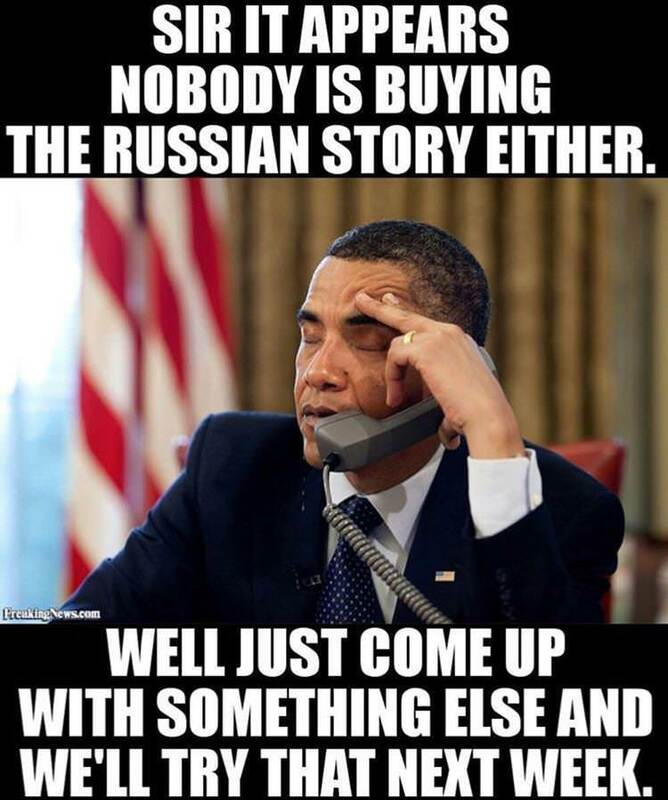 “Proof” of Trump’s Russian Involvement Backfires on Liberals to Expose Obama Crimes! Trump Wants Merit-Based Immigration and Senator Orrin Hatch is a LiarHey Mr. Global Warming, It's Snowing in South Carolina!